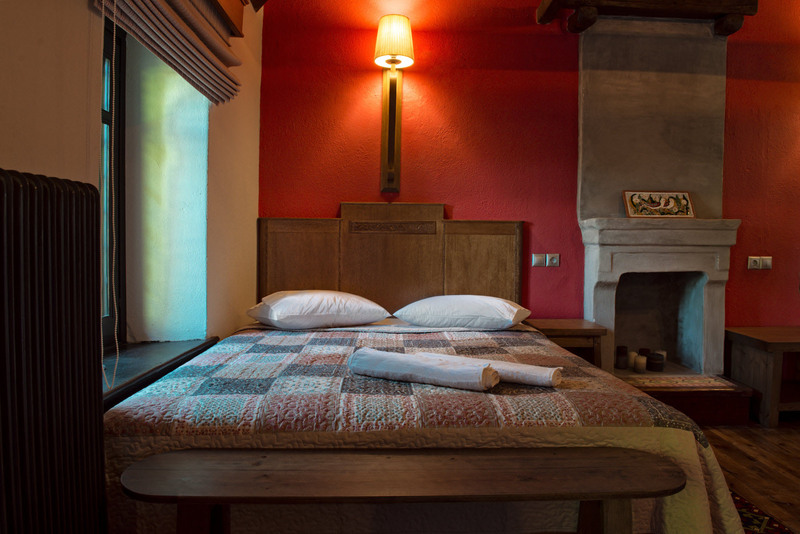 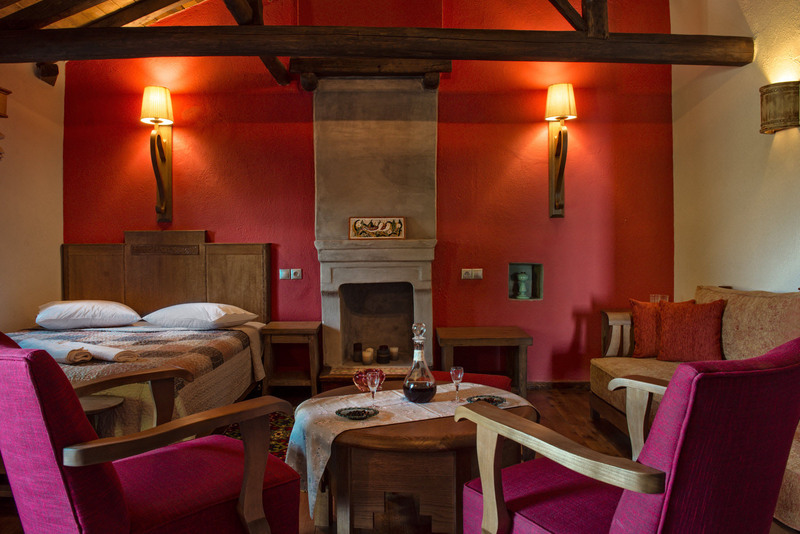 The biggest room of the guest house was named after Vinca and is located on the first floor. 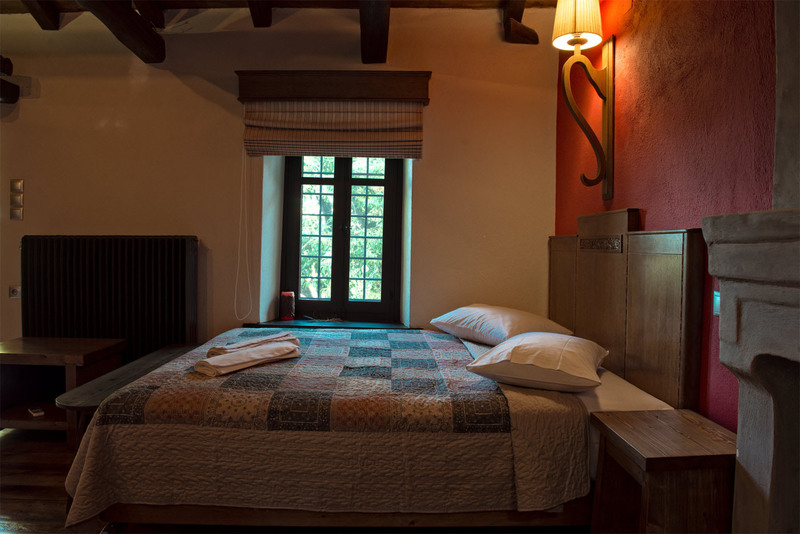 It was once used to welcome the guests in celebrations and evening parties. 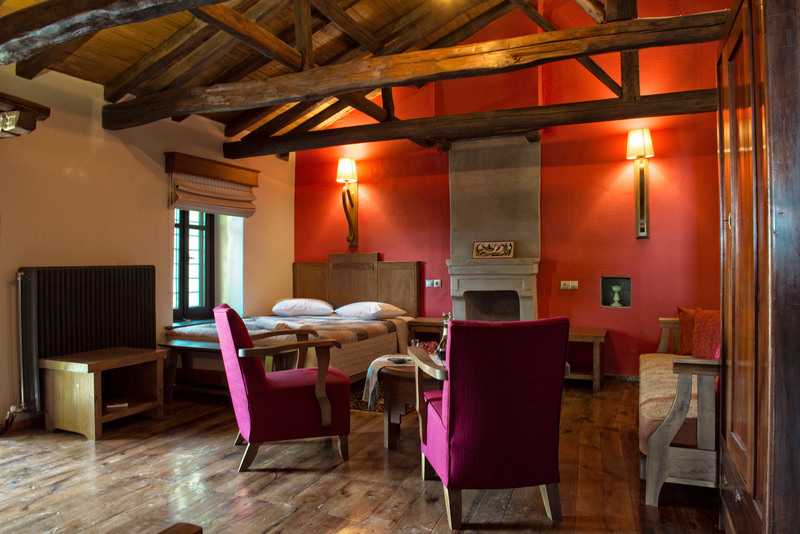 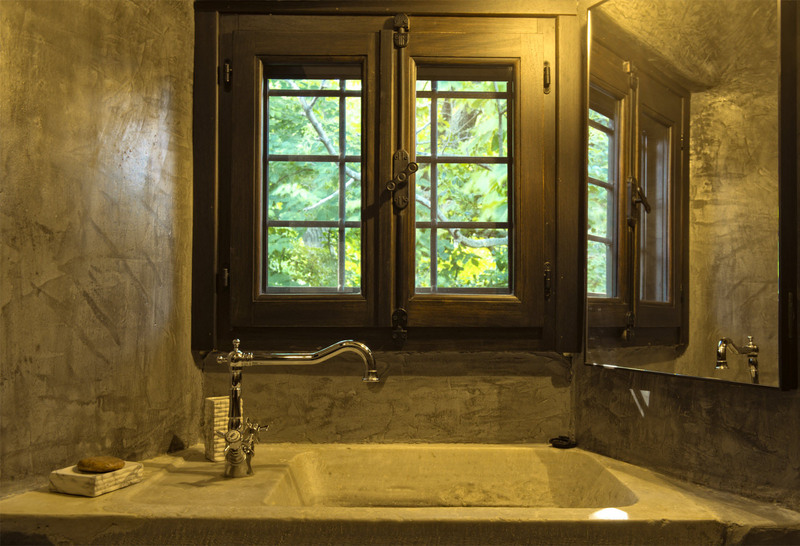 Restored natural materials, a visible wooden ceiling, stone work , a wooden floor ,and hand-made tiles transfer us closer to the beginning of the entire venture. 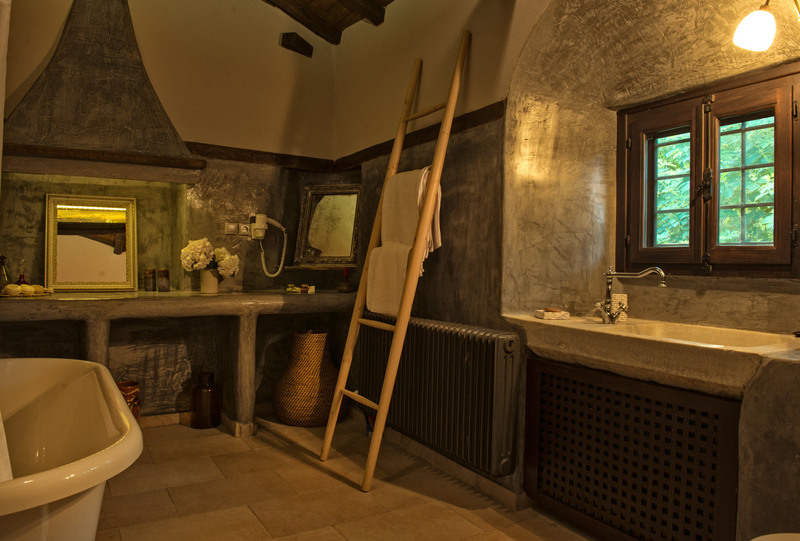 The bathroom makes an impression with the visible ceiling, the old hand-made, marble basin and the white bath tub on legs.